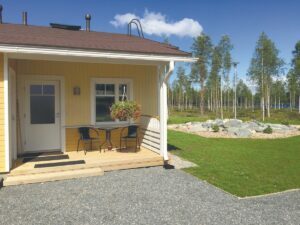 Gasthaus Ranua is located in the centre and on the beautiful shore of Lake Ranuanjärvi. 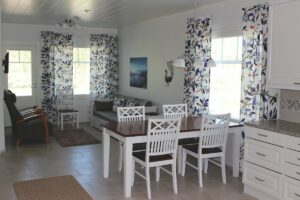 There are 18 rooms and 45 beds, sauna, hut and caravan area in Gasthaus. We also have spaces suitable for meetings and parties. Price of room includes breakfast, sheets and towels. Lapland Northern Lights Hotel Ilveslinna is the ideal spot for discovering the Finnish nature, wildlife and the Northern Lights. During the season from October to March we offer our guests Northern Light tours every night. A delicious breakfast buffet and a weekly lunch menu with fresh ingredients make sure you won’t get hungry while roaming the frosty forests and riversides of the area. The hotel restaurant also offers an á la carte dinner menu. 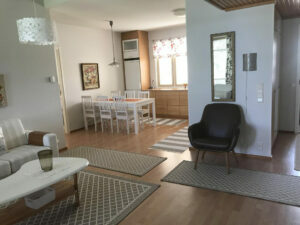 Welcome to enjoy your vacation or business trip in a cosy environment in the Ranua village centre close to Lake Ranuanjärvi, in a holiday apartment in a terraced house completed in November 2015. The price includes carport parking with a heating plug. The apartment is well equipped, including bedlinen and towels. 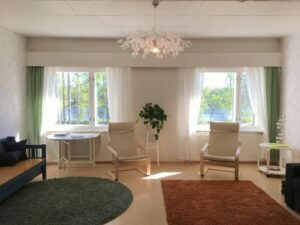 Welcome to enjoy your vacation or business trip in a cosy environment in the Ranua village centre close to Lake Ranuanjärvi, in a holiday apartment in a terraced house completed in November 2015. Price includes also a carport with heater-plug-in. 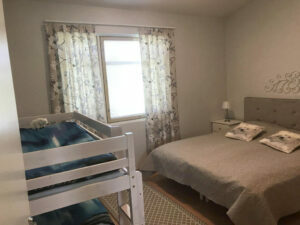 The apartment is well-equipped, including bedlinen and towels. 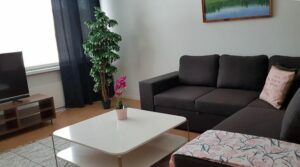 Salmilehto Apartment is located close to the centre of Ranua by the lakeside. 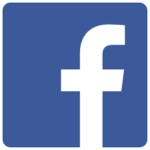 In addition to the well-equipped two-bedroom-apartment, there are also caravan and tent spots in the area. For the use of visitors, there is a place for camp fire and a possibility for barbeque. Sauna can be enjoyed by booking it in advance. There is a small extra fee for the use of sauna.